Share information and display notes to remember. Every office needs a flipchart easel; it’s a piece of equipment that is now expected in any business or training environment, demonstrating that the organisation is open and takes communication seriously. Whether for the continuing professional development of employees or presenting pitches to key clients, the flipchart allows information to be shared in a personal way that actively encourages participation and interaction. 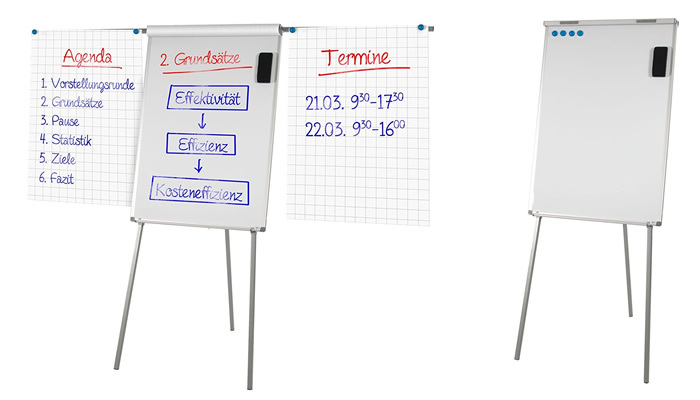 Offering even more versatility, many flipchart easels also double as a dry wipe board, while some are even magnetic whiteboards. Other considerations are size (how large is the writing area? ), height (is it adjustable? ), portability (does it have castors?) and storage (does it fold down?). 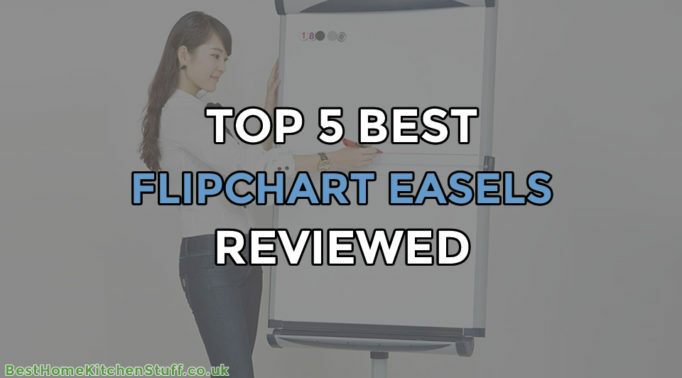 Discover what’s best for your office in our top 5 best flipchart easels. The VIZ-PRO flipchart easel can also be used as a dry wipe board and magnetic board. Mounted on a tripod, the easel is adjustable. Measuring 900 x 600 mm, the dry wipe and magnetic board provides a good area for presenting and displaying information. 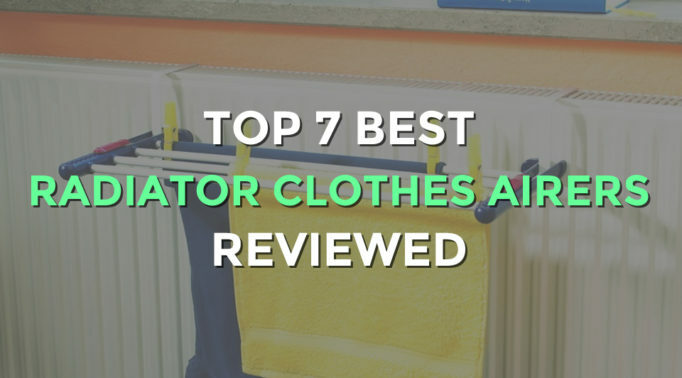 The VIZ-PRO also comes complete with a clip-on pen tray and movable hook for hanging paper. As well as being height adjustable, the tripod legs fold neatly into the back of the board. 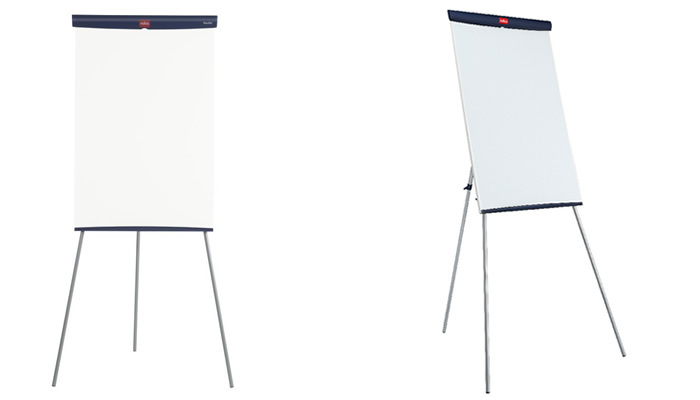 The smaller board size, coupled with how the legs fold, makes the VIZ-PRO a good option if the flipchart easel is being shared between departments, or for making presentations off-site. And when the easel is not in use it can be easily stored flat, taking up no more space than the board itself. Featuring a clever design which triples the display area, the Master of Boards flipchart easel is also a whiteboard and magnetic board. This easel is supported by an adjustable tripod. 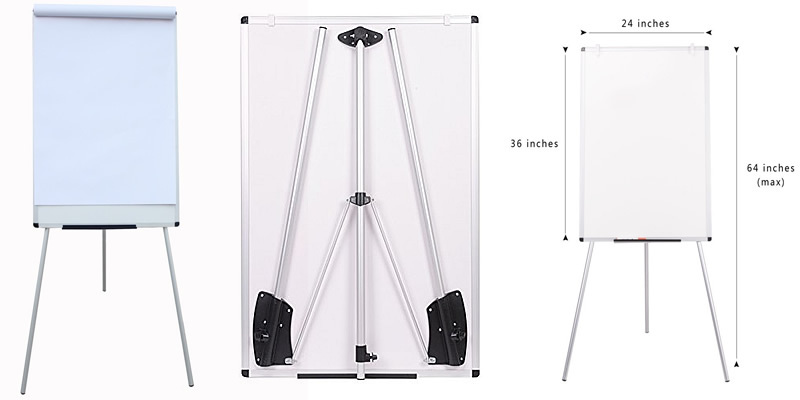 Two foldable side arms are the standout features of this flipchart easel. When unfolded from the top of the board, these arms provide two additional areas for displaying flipchart paper. 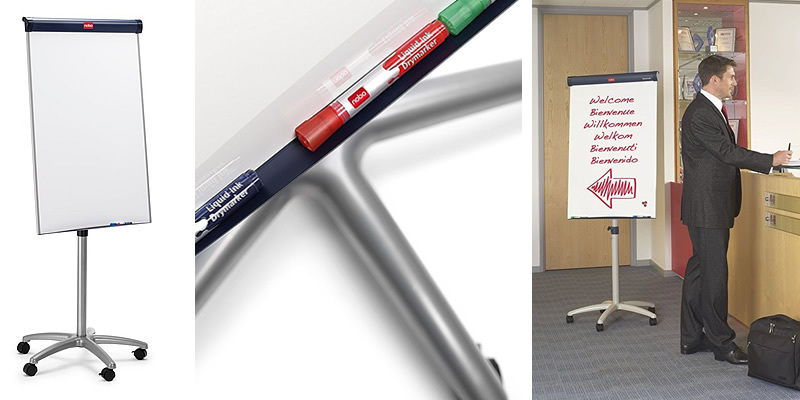 Eliminating the need to stick paper onto any free space in the room, the Master of Boards offers a more professional approach: flipchart sheets can simply be attached to the side arms using magnets. 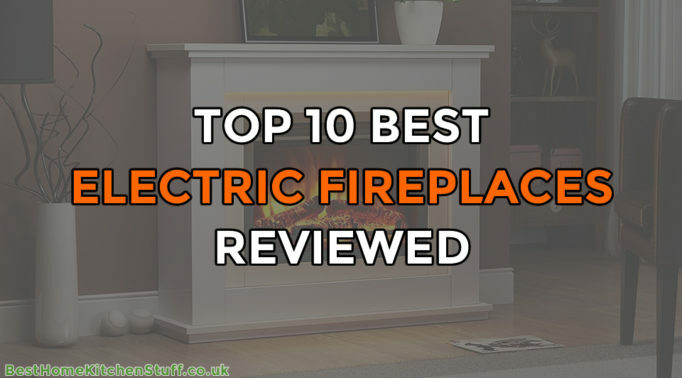 As well as making the information accessible to all participants in the room, without the need to crane their necks, it also avoids leaving unsightly marks on the conference room walls. This layout enables the display of three full flipchart sheets at the same time – ideal for comparing ideas and feedback from team sessions, or displaying a larger amount of data at exhibitions and customer presentations. The writing surface measures 1000 x 700 mm and has been specially coated to provide a board that shows up pen clearly and is easy to clean after use. Suitable for most flipchart pads, the paper holder is adjustable. The easel legs can be adjusted to a maximum height of approximately 1900 mm and there is a handy ledge for keeping pens close at hand. This budget flipchart easel and whiteboard from Nobo is a good option for occasional use. 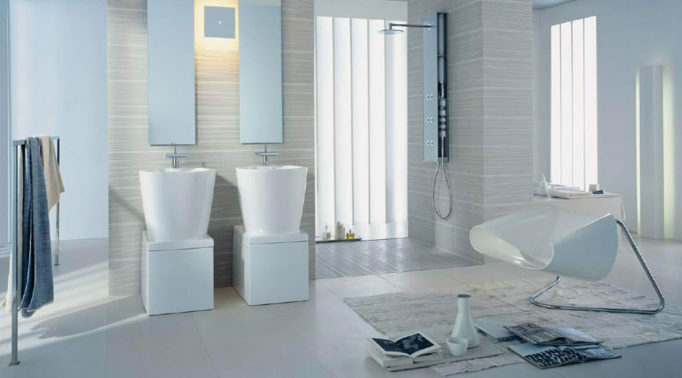 Sharing several features with models higher up in the range, the main differences between the Nobo Basic are a smaller board size and lower durability and erasability ratings. 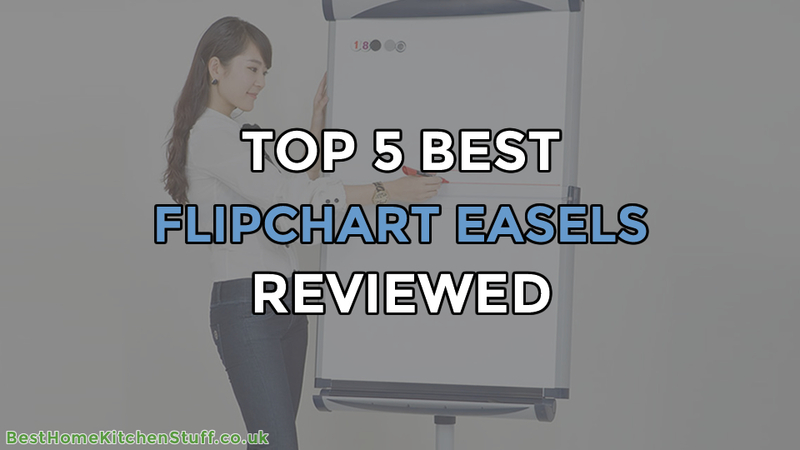 With a dry wipe board measuring 975 x 960 mm, there is still plenty of space for sharing ideas and the easel has adjustable pad hooks to allow for different sizes of flipchart. There is a handy pen tray at the base of the board. Mounted on a tripod, the legs can be adjusted to suit the presenter. 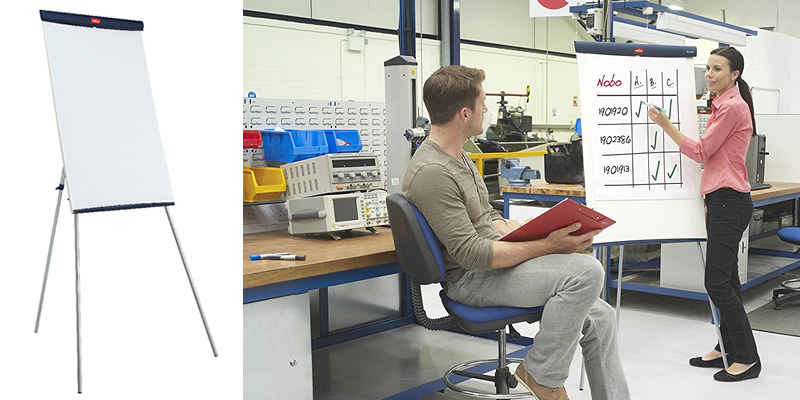 Economical and practical, the Nobo Basic is one of the best flipchart easels for smaller businesses, organisations with limited funds, or simply when only light use is required. The Nautile sits in the middle of the Nobo range of flipchart easels. Combining a quality, large dry wipe whiteboard with a flipchart easel, the Nobo Nautile is a practical addition to any office space. The melamine board is supported on a height-adjustable tripod. Measuring 1040 x 675 mm, the Nautile is able to accommodate most flipcharts. A hinged clamp makes changing the flipchart quick and easy, while the sliding pad hooks ensure a firm grip on different pad sizes. The easel legs can be adjusted from 1300 mm to a maximum height of 1900 mm and feature rear clamps, providing a sturdy foundation that will stay put while you write. 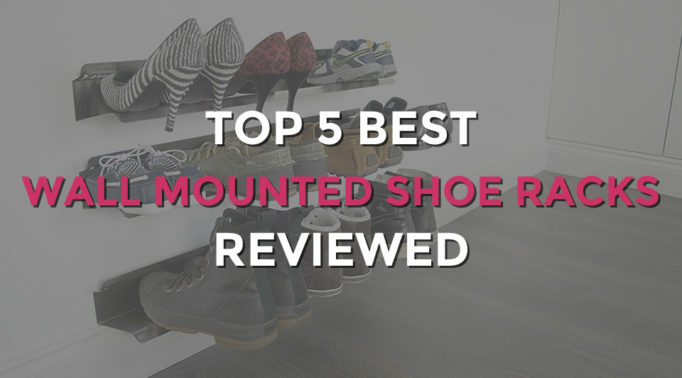 To make moving easy, the tripod legs fully retract; this also means that the Nobo Nautile will sit flat for storage in a cupboard or against a wall. A pen tray is conveniently placed at the base of the board. With its silver-effect legs, and sleek blue flipchart clamp and pen tray, the Nobo Nautile is a stylish and functional addition to any professional office. At the high end of Nobo’s flipchart easel range, the Barracuda offers the ultimate in flexibility for the business environment. This flipchart easel features a dry wipe board that is also magnetic. Mounted on a set of sturdy castors, the easel can be used in reception to welcome clients or guests and then moved into the conference room with the minimum of fuss. Once in position, the castors are locked, ensuring that the easel stays in place while you write. Designed for heavy-duty use, the Nobo Barracuda’s magnetic dry wipe whiteboard is scratch and chip-resistant. The whiteboard measures 1000 x 700 mm and its height can be adjusted from 1625 mm to a maximum of 1950 mm. Running along the width of the easel is a metal pen tray – plenty of space for a full range of dry wipe pen colours. 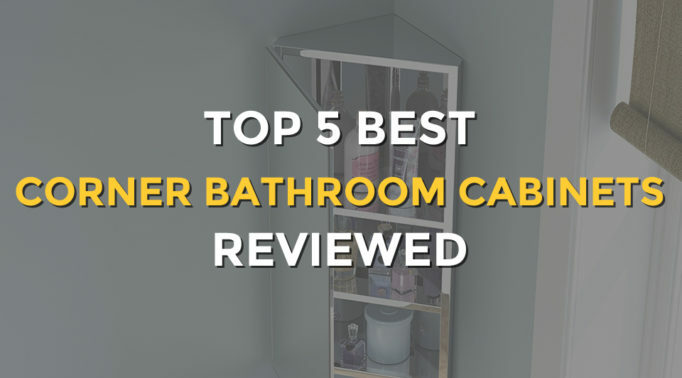 To sum up, the Nobo Barracuda is a professional product which will give the right impression when it matters the most and allows information to be presented and displayed in a variety of ways. Sleek and versatile, the Barracuda is firmly at the top of the list of best flipchart easels.